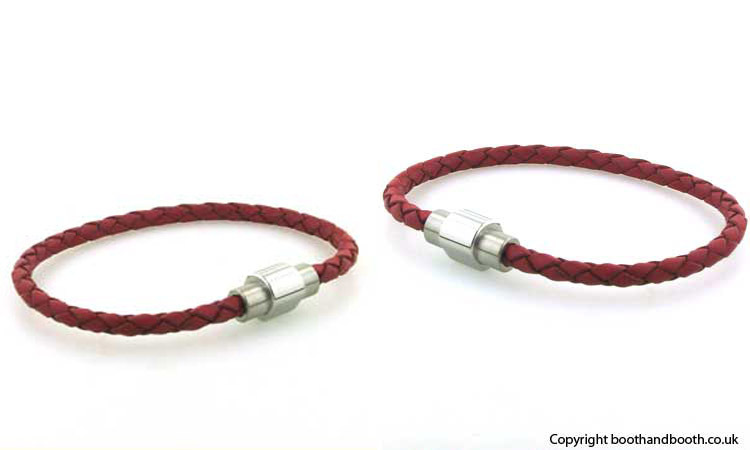 Red plaited leather thong bracelet with a stainless steel magnetic clasp. A beautiful warm red colour, the leather thongs are firmly plaited into a 3mm diameter thong. 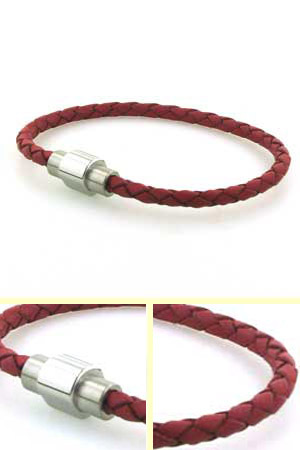 This is soft leather and the bracelet curves around the wrist.